Every marketer needs to be able to justify the strategies and tactics, but without all your data coming together it can feel impossible. 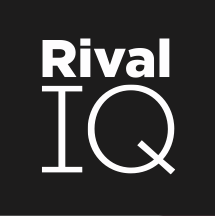 The Rival IQ API was created to help you accomplish more. Using the API, you can combine the data you rely on from Rival IQ with internal data that drives your business. Telling a data-driven story just got a whole lot easier. If you're looking for technical information, that's included in the developer's section. In this article you'll learn more about what an API is and does, and the capabilities specific to the Rival IQ API. API stands for application programming interface, and it's how applications talk to each other. The communication happens behind the scenes, allowing you to remain in an application (or software) and receive information from another without having to switch. Applications store information on servers, and APIs are the messengers that run between those servers. This allows for seamless communication between an array of softwares. What can I do with the Rival IQ API? The possibilities are practically endless. We've built the Rival IQ API to play nice with others. You can connect it to tools like Google Analytics, Google Sheets, Tableau, Google Data Studio, Slack, and many others. The most common use for the API is connecting it with your existing systems, like company-wide reporting dashboards or business intelligence tools. You can find a few of our favorite ways to use the API in this article. With the API, you'll be able to retrieve social data, including individual posts, daily metric summaries, period metric summaries, and social presence positioning copy. You'll also have access to management features for creating and editing the landscapes in your account. Private social data (for example, from Facebook and LinkedIn) is not available through the API. If you're unsure your subscription includes API access, your account settings section lists it with the other features included in your subscription. If you do have access to the API, your API key is in the 'email & password' section. Contact support or your Success Manager to learn more about adding API access to your subscription.